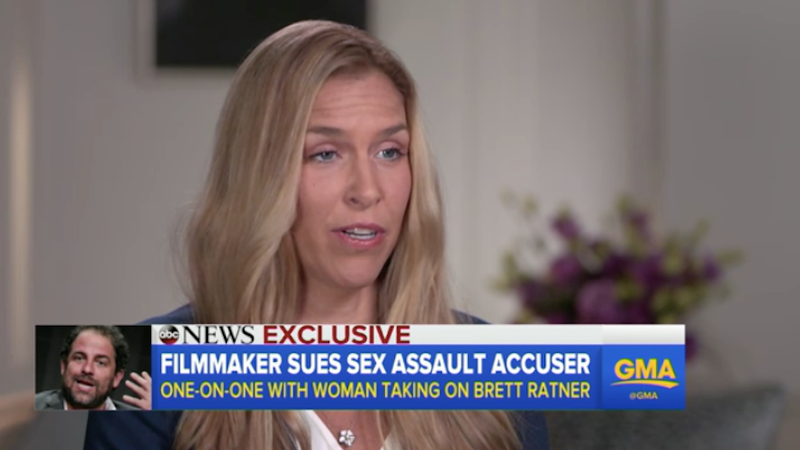 In addition to the six women who said Brett Ratner sexually abused and harassed them in a report from the Los Angeles Times, Melanie Kohler, a former employee of Endeavor Talent Agency, also wrote in a Facebook post that Ratner had raped her. Shortly after publishing her account she was hit with a defamation suit from Ratner and his attorney Marty Singer and she deleted the post. It’s so embarrassing, it’s so humiliating. It’s not something you ever want to relive again. It just felt like there was nothing that I could do. I didn’t think the police could help me, I didn’t know if anyone would be willing to go up against someone so powerful. It was just easier for me to not relive it. Kohler also said that if it comes to it she is willing to testify about her experience in court. Her attorney, Robbie Kaplan, was also present for the interview and told ABC News that she didn’t believe the lawsuit was actually about Kohler, rather it was a way for Ratner to stop women from speaking.